Passed 7000 subscribers on Twitch. Made day 2 in the $5200 World Championship of Online Poker Main Event!! 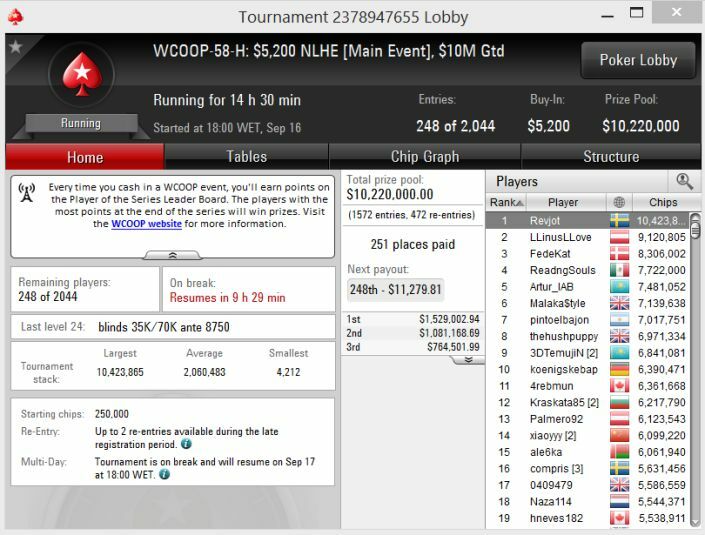 Guaranteed $11.200 and playing for $1.500.000 tomorrow.